The fluctuation of the West in the gap between completed Modernity and incipient Post-Modernity is reflected also in the geopolitical sphere. Thus, the disappearance of a global competitor, in the guise of the USSR (the alter-modernization project), called transatlantic civilization into question. The lack of an enemy in the East made the connection of the USA and Europe in the framework of “the nuclear West” not quite so obvious and self-evident. It became apparent that the transatlantic West was split into the USA and the European Union. The centre of the West during the 20th century constantly shifted to the other side of the Atlantic, to the USA. And after the Second World War, precisely the United States took on themselves the mission of being the avante-garde of the West. They became a superpower, providing by their might the military-strategic safety and economic prosperity of European countries. After the fall of the USSR, the role of the centre of the West became even more firmly established in the USA. This coincided with European integration and the creation in Europe in essence of a supra-national government, a government of the Post-Modern kind . Being at some point a cradle of the West as a phenomenon, Europe in its turn became “the East” in relation to the USA. The United States traversed the path of modernization and post-modernization further than Europe, and the Old World, in comparison to the New, transformed into something independent. Thus a geopolitical picture was formed, in which in the space of the West itself there took shape a determinate dualism. On one hand, the USA became the most “advanced” West. But Europe, on the other hand, attempted to discover its own separate, particular path. There even began philosophical arguments, and some American neo-conservatives (in particular, R. Kagan) proposed to look at American civilization as ensuing from the conception of the menacing state of Hobbes' “Leviathan”, and the European Union as the embodiment of the pacifist ideas of Kant, with his civil society, tolerance and human rights. Other classifications were offered, too. In any case, the USA and Europe started anew to interpret their identities, their values, and their relation to modernity and post-modernity. This was displayed yet more strongly on the level of interests. The European Union, as the first commercial and second economic power in the world, recognized that its interests in Arab countries, and also in relation to Russian and other countries of the East, regularly differ from American interests and often conflict with them. This became especially clear at the time of the Iraq war, when NATO command did not support the American invasion, while the leaders of France and Germany (Chirac and Schroeder) in common with Putin, President of Russia, protested sharply against the war. One can describe the resulting picture in this way: the USA and Europe today have common values, but different interests. The difference of interests and the recognition of this is particularly noticeable in such countries as France, Germany, Italy and Spain. They are usually called the countries of continental Europe; and the tendency towards the representation of Europe as a self-reliant geopolitical player, which as far as possible must become independent of the USA, continentalism or Euro-continentalism. In the most extreme cases, continentalists affirm that the USA and Europe have not only different interests but also different values (see, for instance, the French philosopher Alain de Benoist). On the other pole of Europe are found those who underline in every way possible the unity of values and on this foundation insist on the accommodation of European interests to American ones. To this pole there relate the Euro-Atlanticists (England, the countries of Eastern Europe – Poland, Hungary, Romania, the Czech Republic, the Baltic states, and so on). Two different tendencies in Europe itself create a dual identity: on one hand, we are concerned with continental Europe; on the other, with Atlantic (pro-American) Europe. Both sides relate to the concept of “the West” in different ways: the continentals think that if Europe is “the West”, then the USA is something different. The Atlanticists, on the contrary, strive in many ways to identify the fate of Europe and America as a unified civilization, where the Atlantic is a kind of “inner lake” (just as the Greek and Roman ecumenes thought about the Mediterranean Sea in their time). For Euro-Atlanticists, the European Union and the USA together represent “the West”, and the USA is its avante-garde. The Identity of Russia: Country or...? Now we move to a consideration of the identity of contemporary Russia. The preliminary examination of that, which we ought to understand by “the West”, supplied us with secure instruments that allow us to determine what we understand by “Russia”. And after this we can then wholly concretely and soundly describe the correlation of both one and the other in the present and the probable future. There are two principally different conceptions of contemporary Russia (by the way, this could be said also of the Romanov reign, where lively discussions were held apropos the same question). One can understand Russia as either a country, or as an independent civilization. The structure of our relation to the West will depend on the decision we make about how we understand Russia. With the contemporary Russian political elite. From the mouths of Putin and Medvedev, we repeatedly heard it said that “Russia is a European country”. If we take this position, then we must almost immediately admit that Russia is “a bad, an entirely horrible European country”, inasmuch as it manifestly falls outside of that, which it is common to consider the normative way of Western civilization. The moral, social, political, cultural and psychological identity of Russia differs so much from that of European and American society that a doubt at once emerges concerning its belonging to the West. The superiority of morality over rights, ethical reasoning over rational, and so on. Moreover, Russia absorbed many European characteristics, both moral and technological; but it adapted them to its own, particular way of life and forced them to work in the service of its own interests and values. 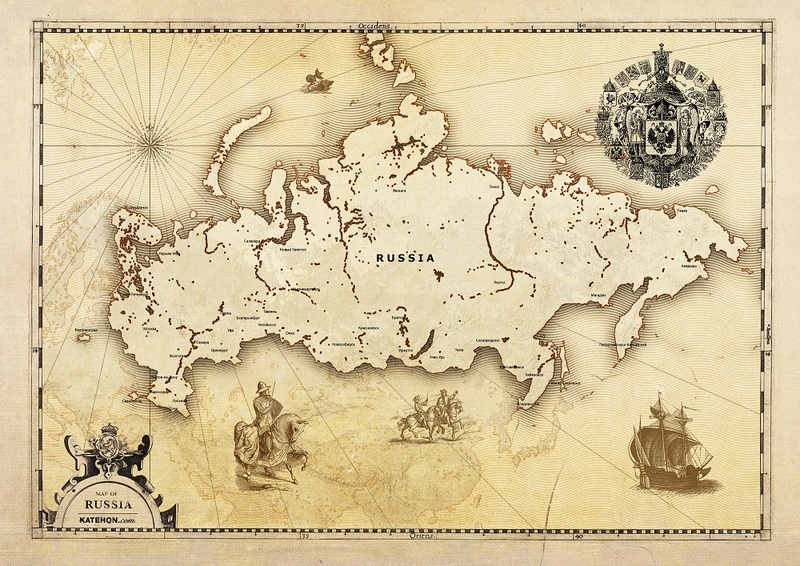 Russian actively drew different elements from the West, but persistently did not become the West. Hence the extreme irritation of the people of the West (and especially of Russian Westernists) in relation to Russia, which is represented by them as most wicked and aggressive (a caricature of Europe), imitating its outward forms, but investing them with its own native Russian substance. Russia does not only differ from any European country as they differ among themselves. When crossing the Russian border, the cultural soul itself changes; we move from one cultural-historical type to another. Russian differs from precisely Europe, from the West as a whole. If we are to insist that Russian is nevertheless a part of the West and a European country, then we can draw two conclusions. Either Russia must be fundamentally reformed in a Western manner (which nobody has yet been able to do, down to our day), or Russian represents a kind of other West, “a different Europe”. The first case is more commonly hold. But that persistence with which the Russian nation and Russian society repudiate deep Westernization (only imitating it externally), sabotage the adoption of European values (forging them in a special nationalist mode), and scare up Western society itself with extravagant scenarios, allowing the strict imperative of Western values and arrangements to slip off or erode (which was evident both in the Tsarist and – especially – in the Soviet period) forces us to suppose that the transformation of Russians into Europeans is an absolutely hopeless matter. And Russian will thus remain only “the not-quite West”, “the second-class West", lacking the strength to absorb for real the substance of Western identity. The second case, which holds that Russia is the West, but a different one, is no less complex. First, even if Russians themselves consider themselves “the West”, but only peculiar – for instance, Orthodox, post-Byzantine, Slavonic, and so on – Europeans never acknowledged this and won't acknowledge it, considering such a pretension “haughty and unsubstantiated ambition”. Attempts to insist upon it will only strengthen the tension and will call forth a reciprocal reaction. If Russia is the West, and, what's more, insists on being accepted and acknowledged as it is, the very concept of “the West”, the sharpness of its historical, geopolitical, technological and cultural vector washes away, disperses, and is destroyed. If Russia is a part of the West, then the West is no longer the West, but rather who knows what. And finally, both positions, which overemphasize that Russian is a European country, aggravate their contradiction by the firm recognition that Russian has its own interests, which always or almost always conflict with the interests of Western countries. The independence and freedom of the motherland was always the highest value for Russians, and this evident and persistent divergence of interests forced one to call into doubt the community of values and the belonging to a unified civilization. This is not the main argument, inasmuch as there were also deep contradictions between between European states, but in combination with the two above-mentioned considerations, this created a favourable background for natural doubts about the hypothesis of Russia's belonging to the West. Only the position of the extreme Westernists is more or less consistent – true, from a purely theoretical, abstract point of view. They affirm that Russia is a “complete monstrosity”, which much be forcefully transformed into a part of the West by force of the eradication of all manner of independence, the rejection of its own interests, the introduction of external control and a change of the ethno-social composition of the population. In order that Russian could become a full-fledged European country, it must first be destroyed to its foundations. But not even the radical experiment of the Bolsheviks could cope with this task, and Russia with all its peculiarities was reborn from the ashes. For that matter, neither could the liberal reformers and oligarchs of the 1990s accomplish the task. However, assurance that Russian is a European country is inherent in Russia's ruling class to this day. And it is not without reason that precisely the ruling class was always the source of the modernization and Westernization of Russian society. Pushkin justly noticed that “in Russia the government is the sole European”. Another view of Russia defines it as an independent civilization. This position was characteristic of the late Slavophiles (Leontiev, Danilevsky), Russian Eurasianists, the Little Russians and National-Bolsheviks (Ustralyov, Smenovekhovtsy). In this case, Russia appears as a phenomenon that one ought to compare not with a separate European country, but with Europe as a whole, with the Islamic world, with Indian or Chinese civilization. Danilevsky called this "the cultural-historical type". One can speak of "Slavic-Orthodox" or Russian civilization. A more precise expression is "Russia-Eurasia", which was introduced in the revolution of the first Eurasianists (Trubetskoy, Savitsky, Vernadsky, Alexeev, Suvchinsky, Ilyin, and so on). Such a formulation underscores that one is talking not about a country, not about a simple form of the governmental organization, but of a civilizational unity, of a government-world. The presence of European and Asian traits in Russia as a civilization should not lead to a hasty conclusion, as though one were speaking of the mechanical computation of things borrowed from the West and the East. The term "Eurasia" indicates: this is some third thing, a civilization of a special kind, comparable in its scale and originality, but different from both the East and West with respect to its value-content. If we accept the assertion that Russian is a civilization, everything stands in its right place - in the epoch of the Muscovite Kingdom, in the Saint Petersburg period, and in Soviet times. The relations of Russia and the West acquire a completed logic, and all absurdities and paradoxes inherent in the hypothesis of "Russian as a European country" are settled by themselves. Russia-Eurasia (=a distinct civilization) possessed its own original values and its own interests. The values related to traditional society, with an accent on Orthodox faith and specific Russian messianism. The imperial idea of Genghis Khan and the centralized arrangement of the Mongolian hordes proved to be the essential influence on the political and social foundations. The natural development of this complex did not demand modernization and did not carry in itself the preconditions of the appearance of those ideas, principles and tendencies that were built into the foundations of the Modern Era in Europe. But the presence in the West of active and aggressive colonial powers, obsessively trying to promote in the East not only their interests, but also thehir values, forced Russia to periodically get on the road of partial and defensive modernization (and Westernization). This modernization was exogenous, but not colonial. Its partial, hybrid character is responsible for that caricature of Russia that roused the indignation of Russian Westernists, starting from Chaadayev, but which, from its side, was also censured by the Russian Slavophiles (Khomyakov, Kirievsky, the brothers Aksakov, and so on). In this case, Russian history appears as the cyclical pulsation of a specific civilization, returning in calm conditions to its original roots, but adopting enforced modernization (from above) in critical periods. In such a picture, the Petrine reforms, the "Europism" of the Romanov elite, and the Soviet experiment acquire significance and law-like regularity . Russia-Eurasia inflexibly defended its own interests and values, while sometimes foced to have recourse to Westernization-modernization for effective opposition to the West. Russia is not a part of the West nor a part of the East. It is a civilization in itself. And the preservation of such freedom, independence and self-being before the face of other civilizations - both those from the West and those from the East - constitutes the vector of Russian history. In the epoch of the USSR, and especially during "the Cold War", Russia's civilizational mission received ideological expression in the form of Soviet society. In it we see the classical combination of of opposition to the West (in this case, in its liberal-capitalist bourgeoisie hypostasis) and the adoption of certain Western ideas and technologies (Marxism). This was a period of typical alter-modernization, exogenous modernization with the preservation of geopolitical independence. Towards the end of the Soviet period, the political leadership of the USSR lost the clear understanding of foundational world processes, in large part because of the Marxists' inadequate understanding of the true role and nature of Marxism itself, but also of the real reasons for the victory of the socialist revolution in a backward, agrarian society (despite Marx). Soviet pedagogues ignored the National-Bolshevistic (Eurasian) character of the USSR, and this confused them in the understanding of the deep relations between Russia and the West. Thus, in decaying post-Soviet society there arose the (suicidal) idea of turning again to the West for long-term modernization, which had stalled. At first there was talk about the possibility of a convergence between the two systems with the preservation of mutual interests and different ways of life. But this phase quickly moved to the practice of exchanging the geopolitical position of the USSR and its allies for the economic and technological instruments of development. Having set itself on this path, the USSR fell to the ground, and the liberal-reformers of the 1990s threw themselves on the West headlong, having admitted the primacy of Western interests and values now without any conditions whatever. The 1990s were the movement of Russia to the side of the West, a desperate attempt to integrate into it on any grounds. For this reason there appeared a steady tendency of repentance for the Soviet and Tsarist past, unrestrained imitation of the liberal-democratic model in its neo-liberal form in the political and the market system, a renunciation of global and regional interests and compliance with mainstream American policies. However, in spite of the calculations and hopes of the reformers-Westerners, this path, connected with the names of Yeltsin and his circle, produced no positive results. Being in the state of transitioning to Post-Modernity, the West itself lost the ideological interest in the modernization of other civilizational spaces, having immersed itself in the task of understanding new challenges. The West welcomed the abrupt weakening of Russia, but did not believe in the sincerity and fundamental nature of its new, Western course, viewing this with indifference. For this reason, relations between Russia and the West in the 1990s were a complete failure. Under the rule of the reformers-Westerners, Russia diluted its identity, lost its position in the world, lost its friends and sacrificed its interests, blindly copying the West without any understanding of the real underlying reasons for its system of values and not even suspecting the true character of post-industrial society or the culture of Post-Modernity. The West, for its part, did everything possible to weaken Russia even more, not only not delighting in its new course	but criticizing it in every way and ridiculing its grotesque manner and corrupt criminal substrate. In such a situation, Russia not only did not step out on a round of new modernization, but, having destroyed old institutions and socio-economic instruments, it simply adopted separate, uncoordinated fragments of Post-Modernity, transplanted quick and dirty by elites, oligarchs, and certain segments of the youths' subculture. In the middle of the 1990s, the impression was growing that Russia was entering on a new round of disintegration, its territorial integrity in jeopardy (the Chechen business). The washing away of identity, absence of a national idea, and the failures of modernization put Russia on the brink of catastrophe. In this situation, the West not only did not help, but also actively furthered the development of destructive tendencies and scenarios. NATO moved systematically to the East, filling the emptiness that had arisen. Networks of agents of influence in Russia continued to indoctrinate the population in the spirit of liberalism and "universal" (read: Western) values. All those who tried to raise the question of the presence of Russia's own national interests were branded "nationalists" or "red-browns". A direct betrayal of national interests, in the last analysis. Before one's eyes, Russia was becoming a colony, with the exogenous, fragmentary intrusion of Post-Modernity and the gradual loss of sovereignty. The Vice-Speaker of the Duma from "the Union of Right Forces", Irena Hakameda, seriously offered to agree to the international division of labour in a "world government", subject to the conditions of "the transformation of Russia into a nuclear waste depository for more developed countries". It is telling that, since the 1980s, the intellectual headquarters of the West, the American "Council on Foreign Relations" (CFR) and its broadened version, "the Trilateral Commission", are striving actively to draw the Soviet leadership into dialogue, in order to soften the civilizational opposition between "the East" and "the West" with promises of "modernization" and "convergence", to include part of the post-Soviet elite in their own conceptual pole, on the basis of the specific, moral closeness of the Soviet and Capitalist ideologies, emerging from the Enlightenment. These organizations fulfil the function of a laboratory sketch of "world government", which they plan to establish when the West becomes global and "the end of history" arrives. It is important that the basic conceptual game of the CFR with the political leadership of the USSR operates around exactly the complex semantic substance of the concepts of "the West" and "Modernity" (the Enlightenment). Part of the Soviet leadership goes along with this, and in the USSR, on the basis of the Institute of Systematic Studies (G. Gvishiani) (a branch of the International Institute for Applied Systems Analysis, Vienna) a special group of scholars is formed, called on to enter into an active dialogue with the intellectual centres of the West. Moscow is practically giving consent to the delegation of its representatives - at first in the guise of scholar-analysts and young economists - to "the world government". It is significant that such action is supervised by the highest officials in the Central Committee of the Communist Party of the Soviet Union: A. Yakovlev, E. Shevardnadze, A. Primakov. An even greater impression is left by the composition of the "young economists": Y. Gaidar, A. Chubais, G. Yavlinsky, P. Aven. At the Institute of Systematic Studies, Berezovsky, too, begins his career. The members of Chubais' Saint Petersburg circle - G. Glazkov, S. Vasilyev, M. Dimitriev, S. Ignatyev, V. Lyvin, A. Illarionov, M. Manevich, A. Miller, D. Vasilyev, A. Koch, I. Yuzanov, A. Kudrin, O. Dmitrieva - and Gaidar's Moscow circle - K. Kagalovsky, A. Ulyukaev, A. Nechaev, V. Mashits - composed the second eschalon. The majority of participants in this CFR-network occupied future leading roles in the Russian government. The consequences of the actions of the CFR in the USSR are known. Gorbachev gives the green light to orientation toward "convergence" and Perestroika begins. In 1989, a commission of high-standing representatives of the CFR are selected in the Kremlin, with D. Rockefeller, H. Kissinger and others at the head; the socialist camp is destroyed; and in 1991 the USSR falls, too. The structures of the CFR in Russia were entirely legalized in 1991 in the form of the Council on Foreign and Defence Policy (S. Karaganov is officially listed in the supervisory board of the CFR and attends Trilateral Commission panels), while the "young economists" form the backbone of the Yeltsin government and its ideological nucleus. In the activities of the CFR network and its Russian affiliates it is easy to deduce how the conceptual models, operating with the categories of "value", "convergence", "the West", and "the Enlightenment", can actively influence the fundamental processes in world politics and destroy a civilizational competitor. Putin's coming to power appreciably corrected this course of the 1990s. Most important was the firm directive of the new President for the assertion of national interests. Inasmuch as the biggest threat to them came specifically from the side of the West - in the first place, the USA and the NATO countries - this will have an immediately impact on the increase of international tension. Putin took the course of strengthening sovereignty and dismantling the structures of external influence, which operate through liberal politicians, oligarchs, corrupt officials and the pro-Western metropolitan intelligentsia. From this moment the presence in Russia of its own interests became the indisputable truth, as did the incompatibility of those with American or European interests. But Putin, meanwhile, especially in his first Presidential term, repeatedly stated that he "considers Russia a European country", "shares Western values", and is "always inclined to cooperation with the West", especially when "our interests have a common point of overlap". In other words, he exchanged the Yeltsin model of Russia-West relations ninety degrees. The affirmation of Russia's own interests differed dramatically from the complete submissiveness of the liberal-reformers to the will of the USA, but the idea of integrating Russian into the West, modernizing it along the Western scenario, remained all the same. At the same time, Putin begins to pay more and more attention to geopolitics. He clearly distinguishes two poles in the structure of the West: the USA and continental Europe. He strives to become closer to Europe to the detriment of the USA. In parallel with this, the United States strengthen the anti-Russian mood in the European Union through Euro-Atlantism, actively use the countries of New Europe for the establishment of a "sanitary cordon", separating Russian from the European continent. Later, the USA shifts to the tactic of encircling Russia in post-Soviet territory through the organization of "colour revolutions" (Georgia, Ukraine, and so on). The geopolitical model of Putin's foreign policy is adequate for international realities: it differentiates policies into European and American orientations. All of this operates on the level of interests, which is most evidently exhibited in the Russian-European energy partnership: Old Europe is vitally interested in Russian gas and oil and strives towards pragmatic partnership with us; the USA tries to prevent this in all kinds of ways. But on the whole, the historical recognition of Russian interests among the political leadership comes into focus. for the first time after the difficult period of the late-Soviet or liberal-reformer delirium and candid betrayal. In his second Presidential term, Putin comes to a reassessment and different formulation of the relations of Russia and the West, to the question of values. Repeating assurances of "the correctness of Western values", he begins referring to differences in the understanding of democracy, to the national particularities of political systems, to Russian traditions. One should ascribe to the same thing, too, the timid theory of "sovereign democracy". On the geopolitical level, in his famous Munich speech Putin exposes to sharp criticism the international politics of the USA and the project of establishing a unipolar world. Essentially, he throws down a challenge to the West, in that guise in which it appears in the present. And here we approach to the limit of possible interpretations of the Putin position. While gradually eliminating the unreserved Westernism of the Yeltsin era, Putin to the last moment remained in the framework of the model "Russian = European country". In the first stage this meant "Russia = a great and sovereign European country with its own interests". Later the position became even more adamantine: "Russia = a great and sovereign European country with its own interests and specific, peculiar values, firmly opposed to American unipolarity". But here is a conceptual contradiction: if "Russia = a great and sovereign European country with its own interests and specific, peculiar values, firmly opposed to American unipolarity", then it is no longer a European country at all, inasmuch as it calls into doubt the universalism of Western values (putting in a claim for their self-sufficient national interpretation) and comes out against the civilizational model of a unipolar world with a Western-centric architecture. And it is not only not European, but not even a country, because it simply cannot have its own values, while belonging to a common civilization with other countries; in this case we must speak of civilizations. It is significant that according to surveys by the Russian Public Opinion Research Centre, taken regularly, 71-73% of Russians in the last ten years persistently answer "Russia is a civilization" to the question "Is Russia, in your opinion, part of Europe or an independent - Orthodox or Eurasian - civilization?" A certain consensus mass (of the nation) is reached in this question. But in the political and higher economic elite, the proportions are clearly different. The position of Putin in relation to the West - as in a series of other very important political questions - is an attempt to reconcile the elites and the masses. To the masses, he transmits the reference about the independence of Russia; to the elites, assurance of the correctness of West's course and of modernization. One cannot say unambiguously what this is: a conscious tactic to cover up his real position or a fluctuation between these two identities, "Russia as a country" and "Russia as a civilization". If we observe from what and to what Putin moves in his appraisals of the West, then one can suppose that he is either gradually displaying his hitherto veiled Russian civilizational patriotism or actually evolving in this direction under the influence of circumstances and observations concerning the unfolding of events in the international sphere. The path of newly selected President Medvedyev on the whole repeats the basic lines of force and declarations of Putin. The relations of Medvedyev to the West are very similar to Putin's: Medvedyev also states that "Russian is a European country", but at the same time, as his predecessor, insists on national interests (and in part on values) and sharply criticizes the USA and the unipolar world. Despite the considerable correction of the relation to the West in the Putin era, it is rather telling that the basic networks of influence, established back in the 1980s by the West, remain in Russia untouched even in this period. Karaganov and other agents of SWAP continue to be influential figures. Under the aegis of Karaganov, the journal "Russia in Global Affairs", an affiliate of the American "Foreign Affairs" (the official organ of the CFR), starts to be published in 2003 (the main editor: F. Lukyanov). Many persons are on the editorial board of the journal who occupy high positions in government, business, political parties and so on. The Board of Trustees is headed by the oligarch Potanin. Officially, "Alpha-Group" - P. Aven and M. Friedman - represents the interests of the CFR in Russia. In its time, by the efforts of this group, the Minister of Defence of the Russian Federation, S. V. Ivanov, and in the Spring of 2008, the Minister of Foreign Affairs of the Russian Federation, S. Lavrov, and even the President of the Russian Federation, D. Medvedyev (at the time of the meeting of "the Twenty") visited the headquarters of the CFR in New York. The economic structures of Aven-Friedman (in particular, TNK-VR) are deeply integrated in the American economy, in that segment controlled by the Rockefellers and Morgans, while D. Rockefeller remains for many decades the most important ideologue and sponsor of the CFR (the CFR itself was established by his ancestors, bankers, immediately after the end of the First World War and candidly put as its goal the establishment of a "world government"). These examples show that the evolution of Putin and Medvedyev's views concerning relations between Russia and the West do not cross a certain critical character, behind which the presence of networks of influence of "the West" in Russia, in the first place in its highest levels of government, would become intolerable nonsense. This is directly connected to the fluctuation in position of the highest political leadership concerning recognition of Russia as an independent civilization and the acceptance once and for all of the sober and critical view of the West. While the President and Premier of Russia continue to assert that Russia is "a European country" (however they might interpret those words), Western structures of influence will exert on the external and internal policies of Russia a great influence, if not an overwhelming one. Other than the organization of the CFR itself, other organs institutionalizing a similar influence are such platforms as I. Yugenses' Institute for the Development (RSPP), the Forum for Strategy-2020, the higher school of economics, groups of liberals in the Administration of the President, and so on. At last, we have come to the final part: to the forecast, wishes and recommendations concerning the development of future Russia-West relations. The foregoing analysis sought to demonstrate how complex this problem is, how many semantic shifts, nuances, impositions of different values, and geopolitical schemas there are here. The concept and the configuration of "the West" are changing. There is no clarity in the definition of Russian identity, and therefore even nuances of definitions and additions to the basic formula can prove to be decisive and to change a plus to a minus, victory to defeat, or vice versa. Russia stands before a historical dilemma. The essence of the foregoing leads up to the working out in a new phase and in new conditions of its relation to the West. The situation is aggravated by the deepest economic and, apparently, ideological crisis, which not only the USA but the whole world is going through today, a world so global that a failure of the nuclear West's functioning almost brought down the economy of all other countries, or at least caused them gigantic and irreversible damage. The West became so global that confusions in its centre instantly affected the whole periphery. In order to develop forecasts and strategies for the future development of relations between Russia and the West, it is necessary in the first place to define our concepts. Peterstroika 2: Russia Integrates into the Global "West"
The most theoretically consistent position in this situation would be that of the more radical Westernists: the West became global, and this must be accepted, while integrating with its structures on any conditions - and the earlier, the better. If it is necessary to repudiate sovereignty for such a step, it is worth doing even that, inasmuch as sooner or later globalization will turn authority over to the hands of a supra-national "world government", and one should strive to procure in it some portfolios, not becoming involved in a doomed conflict. And if right now the liberal economy is experiencing a crisis, then these problems are only "technical details of the self-regulation of markets"; the market will find a way to get out of the crisis. And insofar as nobody today is offering a distinct alternative to Western liberalism (all the old conflicting variants suffered a bankruptcy), Russia is simply left with no other option but to share the West's hardships. M. Khodorvosky reasoned approximately thus; the members of the opposition party "Other Russia" stand on such grounds. But the most important thing is that even more moderate Westernists, belonging to the network of the CFR and occupying key posts in the Russian economy and partly in the political sphere, hold this point of view in a softened form. And although few people today openly express similar ideas, it is precisely this strategic line that is peculiar to the economic block of the government (A. Kudrin, E. Nabiullina, A. Dvorkovich, I. Shuvalov), to the architects of Russia's international policy, from the Ministry of Foreign Affairs, the Moscow State Institute of International Relations, the President's Administration, Russian oligarchs (in the Russian Union of Industrialists and Entrepreneurs or Jurgens' Institute of Development) and other influential segments of the Russian elite. On the whole, the elite remains faithful to the West, absorbs its values, stores its capital there and settles its families there, spends its free time there and trains its children there. And although attitutes to the figures of Putin and Medvedyev sharply divide Russian Westernists in two parts (one, for; the other, categorically against), both stem from the principle of the inevitability of globalization and the establishment of a "world government". One must say, that such a position has one important "merit": it allows one to work and live by inertia, without big efforts and labours. The tendencies of globalization and the construction of a unipolar world are developed by the nuclear West both with the help of the inertial untwisting of the flywheel of world history and thanks to the intensive work of asserting its interests. The values and interests of the West in their basic character coincide; movement to "the end of history" is irreversible, arguments are held only about its speed, phases and details. However much Post-Modernism frightened even its adepts, it is written into the logic of social, cultural, technological, and geopolitical processes; nobody will be able to to defer, nor, moreover, to abolish them by his volitional decree. Thus, Russian Westernists propose "to relax and enjoy", even if one is talking about something unpleasant, even deadly for the country, for the ambitions of the people, and for Russia's historical mission. They dispute and ridicule the very presence of this very mission, advise the curtailing of ambition, and affirm that unpleasantries can be ironed out constantly by the growing industry of amusement, by the "totalitarian" propaganda of glamour and show-business. If Russian dies away as a result of globalization, then, the liberals comfort, "there is her hearse"; what's important is only to make this dying away as unnoticeable and "comfortable" as possible. Russia is dying away, but people - if they can, of course - will get the chance to fall in with the global West, they will remain and will probably even be able to make use of newly opened opportunities: freedom of migration, communication, access to knowledge, job search and an equality of starting conditions. And one must admit that if we think of Russia as a European country, the liberals are right. After all, other European countries gradually repudiate their sovereignty, transfer power - let it be with a squeak - to supra-national organs (the Brussels bureaucracy), equalize in rights the native population and immigrants from Africa and Asia, erase borders, move to the English language, and forget about national, cultural and religious roots. If "Russia is a European country", then, as with other European countries, it needs to prepare to be erased from the face of the Earth, ceding its place to new globalist organizations. For Europe itself, integration is only a temporary stage. If we follow the process of globalization, on its next round the whole world will become a "unified government" (World State), and all narodi and countries will hand power over to the "world leadership" (the embryo of which even now is the CFR or Trilateral). Such a projected tendency concerning the relations of Russia and the West is not as absurd and marginal as it seems on first glance after that upsurge of patriotic feeling, which grew during the whole of Putin's rule and on the first days of President Medvedyev's (especially after August 2008 and the Russia-Georgia conflict). Integration into the global West (= "world civilization") is the simplest decision, not demanding any efforts. The processes of globalization are going by themselves, and even those who do not agree with the values of its ideological content (for instance China; and to a lesser degree India), try merely to correct these processes to their own good, to restrict or slow them down somewhat, to give them a definite local colour, contesting nuances; but no one - except for radical Islamist circles and the young anarchist movement of the anti-globalists - protests logically and thoroughly against them. From this perspective, to participate in globalization looks not like a volitional choice, but like something self-understood; not demanding a choice, inasmuch as that is made for us, by the logic of the history of the Modern Era, the regular onset of Post-Modernity and "the end of history". Thus, one cannot discard such a Westernist decision offhand. The Soviet regime, more ideologized, radically anti-West, totalitarian and controlled than the present day regime, collapsed before this inexorable logic of the West and gave up its position before the convincing arguments of the network of influence that it itself had established. Wishing to take part in somebody else's modernization at the cost of minimal effort, the USSR paid for its blunder and died. But the shock was quickly forgotten, and before the face of growing problems an analogical approach to things - Perestroika, liberal reforms, closer ties with the USA, entry into NATO, the rejection of gigantic territories and aggravating ethno-sociological regions - could repeat itself entirely, especially at times of growing problems. The liberal opposition speaks openly of this. But a significant percentage of the contemporary Russian elite secretly hold the same opinion. For that reason, such a scenario - conditionally speaking, "Perestroika 2" - even given its low probability due to the contemporary escalation of Russian patriotism, must in no case be discounted. By a directly contrary premise, on which one can base a forecast of the development of Russia's relations with the West, the thesis is stated that "Russia is an independent civilization", Russia-Eurasia, a "government-world". In this case, the concept of the West (like Modernity and modernization in its various shapes), in practically all the senses of this word, from the historical to the moral and ideological, are taken as evil, as a negative concept, as a Hegelian anti-thesis, as that which one should reject, defeat, overcome, outdo, get rid of, cut short; in the long term, destroy. The Russian Czars of the Moscow period held such a view (seeing in Europe the "Kingdom of Heretics", "papists and looters") as did Slavophiles (especially the later ones), Russian narodniks, Eurasianists and Communists (in line with their special class ideology). Proceeding from these Slavophilic (Eurasianist) perspectives, relations between Russia and the West must be built in an entirely different key. This position can be called strictly anti-Western. Russian (Orthodox-Slavic, Eurasian) civilization must give a last and decisive blow. Such an arrangement leads to a complete denial of that path of development along which went the West and those who found themselves in its zone of influence, willingly or by force (through colonization). Consequently, the first (and most important) point of strategy becomes a denial of the universality of the historical experience of European civilization, a levelling of it to a particular case, with a refutation of all its pretensions to being the main path of human development. This implies neither more nor less than a challenge to the whole structure of the epoch of Modernity, a repudiation of the Enlightenment, a levelling of the spirit of the Modern Era to a local - i.e. geographically and historically - phenomenon. If Russia is an independent civilization, then its logic, its phases, dynamics, aims, values and orientation can be utterly different than the path of development and establishment of the West. By whatever paths and whatever logic the West were to go to the end of history, to Post-Modernism and to the post-industrial society, Russia-Eurasia is quite able to say to all of this a decisive "no! ", to refuse on the basis of its own values, priorities, reference points, choices, and, ultimately, interests. This position demands a metaphysical reconsideration of Russian identity; the immediate elaboration of the Russian national idea on a new round of its development, in order to bring about under a complete rejection of the West a secure philosophical, paradigmatic foundation. Having stepped onto this path, and not waiting until the huge task of the spirit will be carried out, it is quite possible to sketch out the foundational principles, proceeding from which Russia-Eurasia, Russia (=civilization), will build its relations with the West. The first and most important point in these relations will be a repudiation of the tendency of the "global West". The West is a local and regional phenomenon, and all its attempts to present itself as a universal standard of development are nothing other than a colonial, racist pretension to absolute power over humanity. A war is declared on the universalism of the West. Another important conclusion follows from this: modernization, which the West carried out and which it carries to everyone else, is not fate, but a possibility voluntarily selected, which others either adopt or reject. In this case, modernization transforms not so much into an object of desire as into a doubtful adventure, when society sacrifices religion, ethics and traditional foundations, but gains technological comfort, raised to the highest value and most important criteria. Modernity - with its materialism, atheism and utilitarianism - shows itself as a temptation, attractive, but fatal to the spirit and independence of cultures and narodi. Thus, Modernity is deprived of its historical value, while traditional society, including religion, worship, rites, customs and so on, is understood not as something outliving itself, not as inertia and superstition, but as the free choice of a free society. The West tied its fate to Modernity and modernization. If Russia is an independent civilization, different from the West, it may well (and must) act differently, having made a choice in favour of traditional society. From this there follows a very important conclusion: Modernity and modernization do not present by themselves absolute values and the unconditional imperative of development. Russia can develop and live in conformity with its internal logic, dictating her religion, her historical mission, her original and distinctive culture. Russia, understood as a civilization, not only can but must have its own values, differing from other civilizations. Thus, it has a full right to establish its own peculiar political, social, legal, economic, cultural and technological models, not paying attention to the reaction of the West (nor, by the way, to that of the East). In concrete policies, these principles turn into the model of the multi-polar world. Moreover, its poles become not segments of the Global West, which only take a pause in order to more effectively built up their societies under a universal standard, but separate civilizations, laying claim to their own understanding of history, their own specific historical time (cyclical or linear), their own ontology, anthropology, sociology, politology, their own world, which others might not like, though this has no influence on anything. Thus is born the fundamental philosophy of multi-polarity, denying the pretensions of the West to the universality of its way and inviting the narodi of the world themselves to seek not only the means of development, but also to define its goals and direction. If Russia will set out on such a path and recognize itself as a civilization (as the overwhelming majority of the population recognize it), this will signify a crusade against the West, denying its universal mission, which means, casting off Modernity and Post-Modernity as its last expression. Such a position is not so improbable, although today only Iran, Venezuela, Syria, Bolivia, Nicaragua, North Korea, Belarus and in a careful manner China take it. Russia will strengthen its relations with those countries that radically thrown down a challenge to the West, globalization, Modernity and Post-Modernity.Russia will begin to split up the West, strengthening its ties with Continental Europe and striving to lead it out from under the control of the USA.Russia will establish a filter in relation to the processes of globalization, in the sphere of culture, technology, and values, accepting only that which will promote the strengthening of its strategic power and cruelly throwing off and leaving outside the law all that weakens, eats away at and relativizes its civilizational identity. This kind of turn around will lead to an escalation of relations with the USA and all the apologists of the "Global West", but will meanwhile draw to Russia billions of allies in those countries that will want to preserve loyalty to their values and traditions, rather than dissolve in a "world government". Nobody knows the ultimate result of this confrontation, inasmuch as the historical stakes are too great; a genuine battle will break out for the significance of "the end of history" or, according to another outcome, for its continuing further. If a multi-polar world will be built, history will continue. If not, then Post-Modernity will ascend to the throne irreversibly, and it will finish, ceding its place to "Post-history" (this time, without any gap [also: shame/disgrace.]). In order not to give oneself up to empty illusions and not to try to pass the desirable off as the real, it must be stated that: today, the Russian government is not at all ready to make a choice either in one or the other direction. Neither Putin nor Medvedyev are planning either to dissolve into the West, or to admit that Russia is an independent civilization and to give the West a final fight. Neither the government nor the society are ready for such an abrupt step. Taking into view the logic of the entire post-Soviet period, it is easy to notice that from unrestrained Westernism the pendulum of Russian politics steadily shifts to the opposite side. The whole history of Putin's presidency, his gigantic rating and the support of his policies in the nation are evidence that the self-consciousness of Russians is strongly drawn to the recognition of Russia as a civilization and to the rejection of Westernism. And any suggestion by the government of acting in the same way is immediately taken up with enthusiasm by the broad masses. But, in spite of this, there is an invisible barrier, which holds in check its evolution in this direction. It may be that we're dealing here with the effectiveness of the actions of the agents and networks of influence (in the first place, the CFR). It is possible that there is not yet enough accumulated energy in society to enter into a new round of civilizational struggle, which, in one form or another, Russians waged throughout their entire history. Whatever the case might be, the position of the current Russian authorities in relation to the West (in its actual embodiment) remains indefinite. The authorities rejected direct Westernism, but also did not take up an alternative (Slavophilic, Eurasianist) position. They "stalled", as a computer stalls now and then. Neither here, nor there. We outlined the general scenarios of the development of relations with the West, if the leadership takes one of two fundamental positions: integration with the Global West, or the assertion of the values and interests of Russia as a civilization in a multi-polar world. Today, the choice is not made. It is in every way possible put off and set aside. The impression is created that the Russian authorities (Medvedyev and Putin) are suffering from the very necessity of this choice, that they would do everything possible for such a strict alternative not to exist, to avoid it by some middle, compromising variant; both West and non-West. Russia must integrate and modernize, but at the same time preserve sovereignty and independence [lit: self-being.] Various conceptions like "sovereign democracy" are a desperate effort to reconcile the irreconcilable. Such indefiniteness and ambiguity are comfortable for a tactical broadening of the field of possibilities. But this is not a resolution of the problem, but rather its postponement. This can give (and does give) a positive effect for the reconciliation of Western elites and the Eurasian (nationalist) masses. But sooner or later a choice will have to be made. The Russian authorities are convinced: better later. Probably, there are definite grounds for such a position; however "later" does not mean "never". The moment will come when one will have to give an unambiguous and distinct answer to this dilemma: and so, is Russia a European country or an independent [lit: self-standing] civilization? When Medvedyev speaks of multi-polarity and criticizes the USA, one gets the impression that he has made a choice in favour of civilization. But the next moment he appears in public in the company of CFR agents of influence and oligarchs and speaks of "democracy and modernization", underscoring the determination of Russia to become a part of the Global West. Putin acted in exactly the same way: he constantly disavowed his own ideological instincts, mixing into one and the same speech the incompatible and mutually exclusive. This observation shows: the relations of Russia and the West under the current administration will run in an intermediate space between two specific and distinct positions. Rather than the unambiguous "either-or", which would predetermine the long-term logic of Russia-West relations, we are for some time fated to reservation, oscillation, apophasis. The Russian authorities did not ripen for the answer to this fundamental problem. Probably, society itself is not completely ripe for it. While this compromise exists, we will not wait out a real and full-fledged decision. But this means that relations between Russia and the West will develop contradictorily and ambiguously: both yes and no. However, the global economic crisis and the logic of globalization, from which the West is not planning to step back, will objectively accelerate (for us) the process of making a decision. It will not work "to pull the rubber band" past a certain critical point. The authorities will have to make a decision, which will predetermine the logic of the long-term development of relations with the West. It is difficult to anticipate of what kind this decision will be and when it will prevail. But we have tried to describe with the greatest precision between what and what a decision will be made. •	Russia's fate consists in the assertion of its independence, the following of its own way, the defence of its original values (Orthodoxy, morality, justice, sobornost', holism, and so on), and opposition to the West in all its forms.